Seven-year-old Amber Galindo had been to the dentist, but it hadn’t gone very well. The doctor wasn’t all that patient, and Amber had some significant needs. Her mother Nancy was at a loss. When she heard about the Clinic in the Park event scheduled to be held at the Orange County Great Park in December, she hoped it would be an opportunity for Amber to be seen within the parameters of her Medical coverage. What Nancy found was more than she expected: a giant RV converted into a mobile dental clinic, just for kids… the Smile Mobile 2. Brave Smile Mobile 2 patient, 7-year-old Amber Galindo, gets treated for tooth decay. Healthy Smiles for Kids of Orange County, one of the largest oral health providers for children of all ages in OC, is a non-profit organization that works tirelessly to eradicate tooth decay through prevention, treatment, advocacy and education. In 2008 Healthy Smiles unveiled the Smile Mobile, an innovative two-chair dental facility “on wheels” that allowed them to greatly expand pediatric dental services directly into underserved neighborhoods throughout Orange County, especially in the northern part of the county. 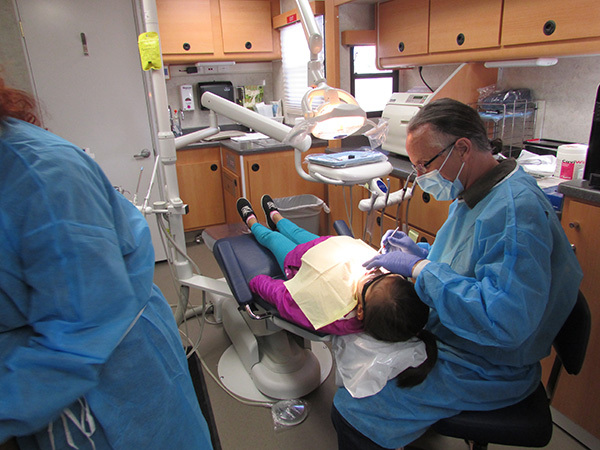 Through the Smile Mobile, dentists, registered dental assistants/hygienists and care coordinators provide screenings, fluoride varnish, sealants, oral health education and referrals to other partner safety-net clinics to as many as 200 children in one day. Over a span of seven years, through their mobile clinic programs Healthy Smiles has brought 163,024 prevention, education and treatment visits to low-income, elementary-aged children and their families. The Smile Mobile has been so successful that in November Healthy Smiles for Kids of Orange County announced the addition of Smile Mobile 2, through a generous $400,0000 donation made possible by the Pacific Life Foundation. Smile Mobile 2 has a specific mission to be of service to children in need throughout the southern half of Orange County. Healthy Smiles provides a different experience from other dentist offices. Aside from treatment services, children and parents will walk away with education regarding their treatment plan and additional educational services and activities to assist them in achieving a mouth free from tooth decay. 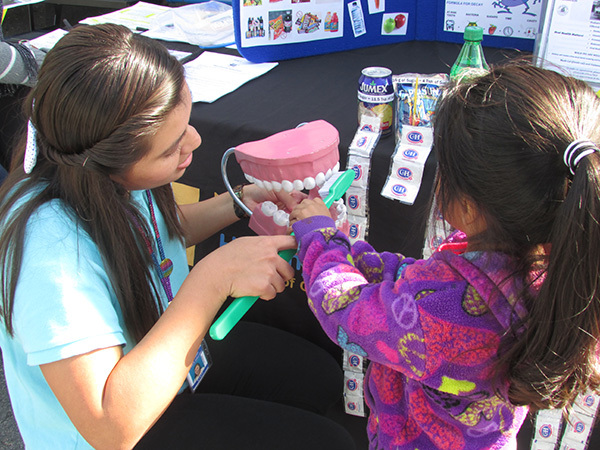 Stephanie Rebollar, oral health outreach and volunteer coordinator for Smile Mobile 2 provides oral hygiene education to a young community member. 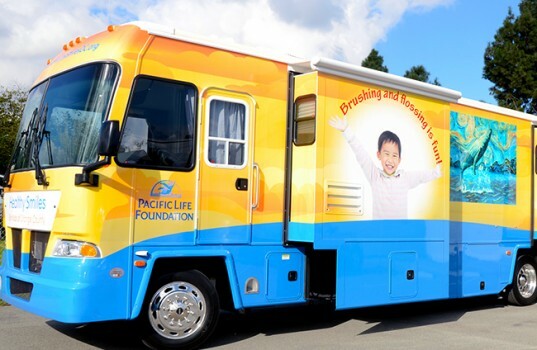 Through June this year Smile Mobile 2 is confirmed to be at the Clinic in the Park from 10am to 2pm at the Orange County Great Park in Irvine on the second Sunday of each month, providing oral health education, screenings and treatments. Smile Mobile 2 will do the same at the Families Forward office in Irvine on the third Saturday of every month. 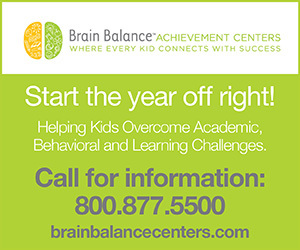 Alternatively, community members can call the Smile Line at (714) 638-7637 to see about an appointment. And what can children (and parents) expect? They can expect caring doctors who understand what it’s like for a child to be in a dental chair suffering from the pain of tooth decay.